There are two different biblical traditions on Goliath’s height. Exactly how tall was he? Did you know that there are two different biblical traditions for Goliath’s height? The Hebrew text (MT) of 1 Samuel 17:4 lists Goliath’s height at “six cubits and a span,” while a copy of the book of Samuel from the Dead Sea Scrolls (4QSam[a]) along with copies of the Septuagint (LXX), list Goliath’s height at “4 cubits and a span.” For all you mathematicians that may be reading this, that is a two cubit difference. “Great,” you might say, “what exactly is a cubit?” A cubit is the distance between the elbow and the tip of the middle finger, or roughly, 18 inches. We have to add the word “roughly” because, quite obviously, the length from one person’s elbow to the tip of their middle finger may be shorter or longer than that of someone else. To add to the confusion, in the ancient Near East, some countries had what was known as the “royal cubit,” as well as the “common cubit,” which would be a bit shorter. Royal cubits varied from country to country. For example, the royal cubit in Egypt was 20.65 inches, while in Babylonia it was 19.8 inches (Clyde E. Billington, “GOLIATH AND THE EXODUS GIANTS: HOW TALL WERE THEY?,” JETS, 50/3, 2007, pp. 489-508). Depending on the size of an individual, the common cubit would be even less than the royal cubit. Given that the common height of an ancient Israelite was somewhere between 5 feet and 5 feet 3 inches, this could make the common cubit somewhere between 16-17 inches. Billington notes that an 18 inch cubit would mean the person was about 5 feet 8 inches (taller than most Israelites of this period). Goliath’s height was either 4 or 6 cubits and a span. A span is the length between the thumb and the little finger with the hand spread as far apart as possible. These various measurements of the cubit are only the beginning of the uncertainty regarding Goliath’s height, because we also must consider how long a “span” is. In the ancient world, a span was the distance between the tip of the thumb and the little finger when the hand was spread apart. Billington estimates that a person who is 5 feet tall would have a span of about 7 1/2 inches. At 6 feet tall, my own span measures 8 3/10 inches. Like a cubit, the length of a span depends on the size of the person. Two spans are usually considered to make a cubit, although they are in fact a little short of a cubit. By using the conventional 18 inch cubit and 9 inch span (both of which seem too large for an ancient Israelite), Goliath’s height either comes to 9 feet 9 inches (MT), or 6 feet 9 inches (4QSam[a] and LXX). These are the heights we frequently hear referenced by pastors and teachers when commenting on 1 Samuel 17:4. However, if we adjust the size of the cubit and span to what would be more likely for an ancient Israelite, then, according to Billing, 16.5 inches would be a reasonable cubit and 7.5 inches would equal a span. Some quick calculations make Goliath’s height, according to the MT, to be about 8 feet 9 inches (8.875), and according to 4QSam(a) and the LXX to be about 6 feet 1 inch (6.125). This second figure seems impossibly low for a “giant” like Goliath and we might be tempted to automatically throw it out as a possibility. However, two considerations should be borne in mind. First, we should not judge Goliath’s height based on modern standards, but rather on ancient Near Eastern standards. Today someone who is 6 feet or taller is a common occurrence, but remember, most people in the ancient world were nearly 9 inches to 1 foot smaller. Second, it is important to examine the textual evidence for each reading. In other words, which reading, “4 cubits and a span,” or “6 cubits and a span,” seems to have the most solid evidence for being the original reading? To summarize, we have seen that Goliath’s height depends on the size of both the cubit and the span, and which reading of the text is the most reliable. This means that Goliath’s actual height could have been anywhere between 6 feet 1 inch and 9 feet 9 inches. Before continuing, when seeking the truth about Goliath’s height, we should caution ourselves concerning our own prejudices. For some, a person 9’9″ is out of the realm of reality, and they would therefore be inclined to the “more reasonable” reading of 6′ 9″ – 6’1″. Others, however, raised on the traditional story of David defeating the giant Goliath, would almost consider it a sacrilege to suggest that Goliath might be in the 6 foot range, as opposed to the 9 foot range. Whichever way our prejudices run, they do not help us get at the truth of Goliath’s height. Only by examining the evidence, which includes the height of people in the ancient world, the relative lengths of a cubit and span, and the textual evidence for the most reliable reading, will we be be able to come to a conclusion that seems plausible. Which Reading of 1 Samuel 17:4 is the Most Reliable? 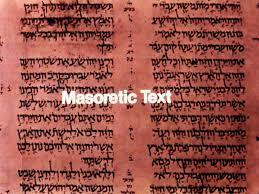 The Masoretic text is the traditional Hebrew text copied by scribes known as the Masoretes. Our English Bibles traditionally follow the reading of the Hebrew manuscripts known as the Masoretic text (MT). As a result, I find myself partial to the MT. Anytime there is a suggested reading that is different, I want to hang on to the reading of the MT. Why? It is no doubt a very reliable tradition of the text so that’s one reason. But I must admit that the other is, because I’m used to the readings found in the MT (which admittedly is not a good reason). On this particular passage, however, bible scholar, J. Daniel Hays argues in a very convincing way for the reading found in one of the Dead Sea Scrolls (4QSam[a]) and the Septuagint (LXX). In other words, he argues that the text should read “4 cubits and a span” (you can find one of his articles, a response to Billington, here). His reasons are summarized below. The earliest Hebrew manuscript, 4QSam(a), which dates to the middle of the first century BC, reads “4 cubits and a span.” Hays points out that this particular manuscript is 1,000 years older than our earliest copy of the MT (935 AD), although he admits that the reading “6 cubits and a span” found in the MT goes back to at least 200 AD. Hays points out the well-known fact that the MT of 1&2 Samuel has a number of scribal errors. Furthermore, although 1 Chronicles does not include the story of David and Goliath, he notes that where 1 Chronicles is parallel with 1&2 Samuel, Chronicles always agrees with the reading of 4QSam(a) and the LXX when it differs from the MT. Hays also argues that it is much easier to explain how “4 cubits” was changed to “6 cubits” rather than the other way around. The word for “cubit” in verse 4 and “hundred”in verse 7 look very similar in Hebrew. Hays says that a scribe copying the manuscript accidentally looked down at verse 7 and saw the number “6” (as in six hundred) and copied it into verse 4. This is a well-known copying mistake called “parablepsis” (“a looking by the side”). The story never refers to Goliath as a giant. This is an interesting observation frequently overlooked. Although the story clearly does reference Goliath’s size, which would be intimidating whether 4 or 6 cubits is the correct reading, it does not focus on it. I will have more to say about this below. Some argue that the weight of Goliath’s weaponry and armor better fits someone who is 6 cubits rather than 4. However, Hays goes to great lengths to demonstrate that regular-sized people (e.g., in the military) often carry this kind of weight. Saul’s answer to David as to why he cannot fight him references Goliath’s skill as a warrior, not his height. Some argue against the “4 cubits and a span” reading by saying if Saul was “head and shoulders” taller than anyone else in Israel, and the average Israelite was 5 feet to 5‘3″, then Saul would be nearly as tall as Goliath. Hays says that this is precisely the point! Tall Saul should have been the one to face tall Goliath. The interest of the story is to demonstrate Saul’s fear and lack of faith, as he was the most likely candidate to confront Goliath. Photos such as these found on the internet are bogus. No archaeologists in the Middle East have ever uncovered a human of this size. Goliath may have been a descendant of the Nephilim (he is called a “rapha” in 2 Sam. 21), but his height did not consist of the exaggerated height shown here. Hay’s “internal evidence” includes examining the text which involves a discussion of Goliath’s armor and the fact that he is never mentioned as a giant. This was interesting and I agree with Hays to a point on this. However, while 1 Samuel 17 does not call Goliath a giant, there are two other passages that infer he was a descendant of the Nephilim. Joshua 11:22 speaks about the conquest of the land, especially focusing on the Anakim (descendants of the Nephilim, see my other related posts here and here). This passage states that the Anakim only remained in Gaza, Gath, and Ashdod (all Philistine cities!). It should be recalled that Goliath is from Gath. The description of his tall stature certainly suggests a connection with the descendants of the Nephilim. Furthermore, 2 Samuel 21:15-22 relates four stories of Philistines who are killed by David’s men. Each one is said to be related to the “giant” (the word is “rapha” which is the singular of Rephaim). This reference is to Goliath and here he is associated with the Rephaim, who were also considered to be descendants of the Nephilim. Therefore, although the story in 1 Samuel 17 may not refer to Goliath as a “giant,” it seems certain that other passages indicate he was a descendant of the Nephilim. However, I still believe the “external evidence” that Hays produces argues for the “4 cubits and a span” reading. Goliath could be a descendant of the Nephilim without being over 9 feet tall. Considering the average height of an Israelite at this time, someone who is roughly 6 1/2 feet would certainly be an intimidating presence. Finally, in spite of all of the fantastic (trick) photography on the internet, no remains of people who were 9-10 feet tall have ever been found in the Middle East. These pictures of so-called Nephilim are dubious (see photo above on left). Since the average height in the ancient Near East was between 5 feet and 5’3,” and since archaeology seems to confirm this (at least to this point), and since the textual evidence leans toward the reading of “4 cubits and a span,” I conclude that Goliath was most probably on the taller side of the 6-foot range, as opposed to the 9-foot range of the MT. Bible Background Knowlege: Why is it Important, How does it Help? Previous PostGiants or Canaanites? The ConquestNext PostWhere is King David’s Tomb? Thanks Steve. God bless, I love you too. Thanks for your response. Perhaps some items have gone missing. I’m not an expert on all the discoveries ever made. However, this sounds more like some of the conspiracy theories you read on the web. Archaeologists are quite responsible in logging and preserving their finds. Even in the 1800s care was taken, although it was not as admittedly sophisticated as it is today. I don’t know about the discovery of people in the 7ft+ range in the US, but no such discoveries have been made in the Middle East to this point. If some come to light that would be fascinating. But to date the evidence points to the normal height of individuals being what I stated in the article–5-5.3ft. I would agree that it seems we are trying to rationalize what we do not want to believe here with the 6ft. plus idea. i don’t care when in history a human was born 6ft. plus is not a giant. and references from exodus state that the Israelites were as grasshoppers in their sight. a grasshopper is not a foot shorter. even allegorically this would not make sense. the gauls were about a foot taller than the Romans and the Romans didn’t run away from conquering Gaul. Goliath my not have been 30 ft tall but he was definitely the normal size of a man. I think the term Giant means Giant. we don’t have to rationalize the term to fit our sensibilities. I know that some things in the bible are hard to grasp and I know the desire is to defend these issues in the modern world that believes the bible to be myth and fairytale. the worlds opinion is irrelevant. Giant means Giant. why else do we find ancient tribes of natives in Az. or Co. building cliff fortresses into the mountains? when there is no obvious enemies noted for the periods? They needed the high ground from giants. Giants are not folklore. folklore comes from historical basis. I’m not accusing anyone of anything here and I don’t begrudge you a differing opinion. This is just mine. and yes it is biblically based. It might be interesting to note that one of Davids men killed as the scriptures say 2 lion of men and a lion in a snow storm then mention the killing of an Egyptian 5 cubits in height. Being he was an Egyptian you might use the Egyptian cubit of 18 to 20. If Goliath was but 4 cubit that would mean david didn’t slay the tallest man in the world. We may never know. However one man killing a thousand men is as God puts it a pure work of God. David was a boy when he killed goliath he was taller than the average israelite but was a boy between 12 and 14 (i am guessing). David said he killed a bear so that God would deliver this uncircumcised philistine into his hand. David trusted God not his personal strength or past record in person successes. Sorry for bad spelling. Goliath had 3 relatives later killed not sure their height was recorded. They might give more insights into the discussed height of Goliath. Interesting thoughts about the Egyptian Craig. Thanks so much for your comments. God bless! I agree, Tom! It’s hard to see people constantly trying to view the Bible through the lens of disbelief; trying to explain legend with the limited grasp of a small-minded society. Giant means giant. It’s unfortunate that though you don’t know me you consider that I don’t believe the biblical text. I would encourage you to read some of my responses in the comment section and also encourage you to read other articles of mine. I have attempted to answer the “Giant means giant” comment made. Please see my response to Andre. My point in this article is not to come up with the most “logical” explanation in the sense that I doubt what the Bible teaches. My desire is to examine the text and to the best of my ability to understand which reading is the most likely. The fact is that the Hebrew version (MT) and the Greek version (LXX) have different readings. I’m seeking which may be the original reading. The Septuagint (LXX) has frequently been shown to have a more original reading in various places in the Old Testament. In my opinion, this may be the case here. Remember that the early church used the LXX. The writers of the New Testament quoted from it frequently. Just because I may think the LXX has the correct reading in this case doesn’t make me less of a believer. If the LXX was accepted by the early church (and it was! ), then that makes it a perfectly legitimate source. It’s readings are worth considering on a case by case basis. Sometimes the MT is the superior reading and sometimes the LXX is. It is not a question of orthodoxy. Saul was a head taller than the other Israelites. If Goliath was 6’1″ he would have only been about 3 inches taller than Saul (if that), not really a giant. This leads me to believe Goliath was in the 9″ range. Goliath had much experience in war trainings a very tall man as a giant in Israel interpretations but true that King Saul was head and shoulders over every man stating he was just a tall man but with Goliath a GIANT. So he must have been even taller then King Saul by a great measure therefore causing great fear perhaps humiliating Sauls position as the great King of Israel. Saul disobeyed what God told him to do so he feared his life before this giant Champion of war but David was anointed with oil by the Prophet Samuel and Devil being only a youth of approximately 17 years of age was tested by God to prove his faith in God with a Shepherd’s sling as most left handed Benjamites therefore convinciby David how God would stand with him giving David a righteous indignation against Goliaths defying God in the face of Israel. I believe in the cubic inches that Galiaths height and the Armies weight he wore was a giant probably approximately 9’9″ almost ten feet tall giving God all the Glory that No matter how short or tall a man can be God is able to stand against anyone that defys this great God. I propose what we should do to put this into perspective, is not consider it a beauty pageant but a spiritual metaphor. Perspective from God is critical when confronting evil. David was not looking at the height of Goliath, he was looking at the size of his God. What does the “grass hopper” claim illustrate. Were they such cowards that they imagined they were seeing giants. And what about the enormous grape bunches they carried out. Scripture indicates that there were giants on the earth in those days and also afterwards. A six-foot tall man can’t possibly appear to be tall enough to be an intimidating danger to the Israeli army. Maybe the four cubits could be the measurements taken from Goliath’s dead body. 1. 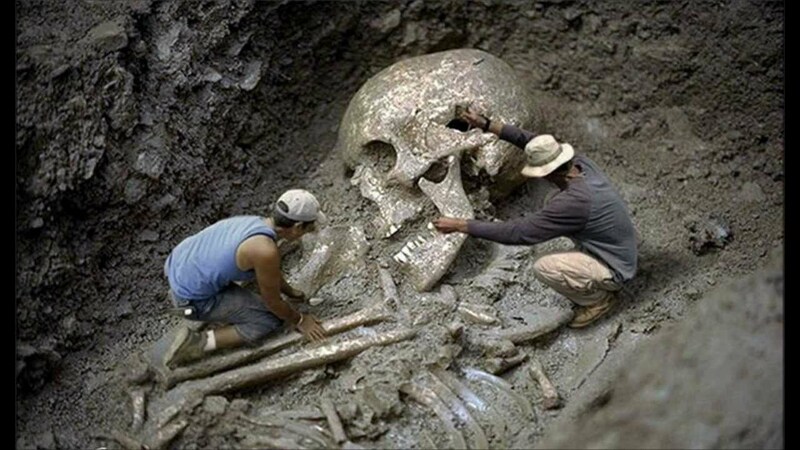 We are never given the measurements of any Nephilim (We are told the size of King Og’s bed in Deut. 3:11. BTW, the word “giants” there is a different Hebrew word “Rephaim.” Michael Heiser in his book “The Unseen Realm” points out that Og’s bed size does not necessarily refer to his height but may have another meaning which I can’t use the space for here. I would recommend reading his book.). 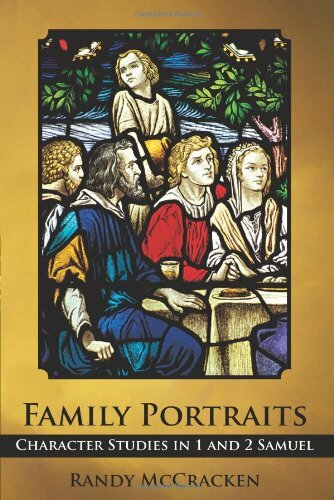 My point here is that the Bible indicates these people were large, but we have no specific measurements. So how large is large? 2. Regarding 1 Samuel 17, as a number of scholars have pointed out, Goliath is never called a giant in this text. We are, however, given his measurements and whether he was 4 or 6 cubits, he was still a big guy. 3. I have no problem with those who want to assert that Goliath was 9 ft. tall. In this article I am attempting to look at the evidence and decide which reading 4 or 6 cubits, seems to be correct. I am also taking into consideration the average height of the time and the fact that no large skeletons have yet (and I emphasize “yet) been uncovered through archaeology. Keeping in mind we do not know which cubit was being used, it seems to me that the evidence favors 4 cubits. 4. It’s also important that what we may consider a “giant” and what an ancient person may have considered a “giant” could be different. Different times and different cultures often result in a different way of assessing things. Thanks again for writing. I appreciate it! You mention that the word giant is not mentioned in 1 Samuel 17. However, the phrase “the giant” is used several times in 2 Samuel 21 in referring to Goliath and his sons. So, Goliath was a giant. In my article I do point out that 2 Sam. 21 refers to Goliath as the “rapha” which is sometimes translated as “giant” in English translations. Whether this is a correct translation of the word and whether our idea of giants is the same as the ancient idea are points open for discussion. I forgot to mention that us average sized a people, I’m five feet eleven inches, don’t consider basket ballers giants. I find this very interesting because the bible is dealing with truth and not politics. When I read this story in the bible and took time to figure out the size , it came up to 9′ and 6″ tall. Knowing that the sons of God had sexual relations with the human race, that of course I mean the women. It seems possible that cross genetics of either race combine together would make some interesting football and basketball players at time of life. If one could go back in time by looking at the footprints that are imprinted in the ground you would be able to determine the actual height and weight of some of these prehistoric giants. Now, to really see something great go back into time and you will see and know the truth. Remember, the dinosaurs they were not exactly small in size. I would recommend going back in time and finding the actual truth, once and for all. I wish we could go back in time and see these things Arian! The discussion in this thread is so silly. In the original piece of folklore Goliath only needed to be 6’9″. A few thousand years later, when the average height of a man had increased, the original height of the mythological Goliath was inadequate. So, someone decided to add a few cubits to Goliath’s height making him 6 cubits and a span. Problem solved, Goliath grows from 6’6″ to approximately 9’9″. This is how folklore works. Therefore we have, in almost all current versions of the bible we read today, an inflated height for Goliath. But I’ll admit, 9’9″ makes the story much more interesting. This is just one of the many problems with the story of David and Goliath. 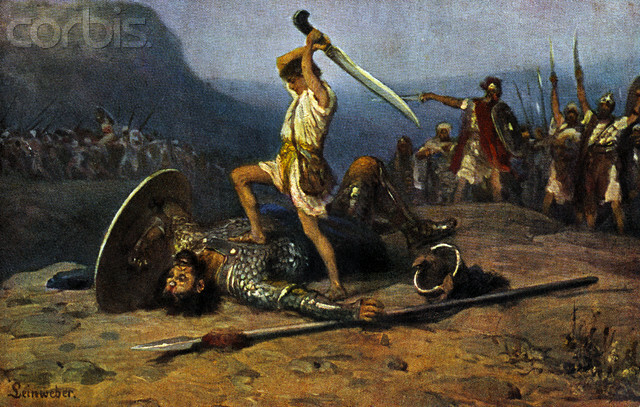 David didn’t really kill Goliath, Elhanan did. Then, approximately 700 years later the Chronicler came along and tried to harmonize the conflicting stories of Goliath’s demise found in 1 Sam. and 2 Sam. by manipulating the text to falsely state that Elhanan did not kill Goliath but his brother Lahmi. It’s a fascinating study and one that nicely demonstrates how the bible has been changed over time. I’m always willing to post opposing views. I would take exception with a few things in your statement. There is not a “few thousand years” between the Hebrew text and the LXX. The MT (from which the reading 9’9″ comes from) has a history that goes back to the BC time period. Second, there are some that take Elhanan to be the one who killed Goliath, but an equally valid, and in my view correct, assessment is that words were accidentally left out of the Samuel text. The Samuel text is well-known for having suffered in transmission. The Chronicles account only helps to clear up the confusion. No Randy, the Chronicler’s text is a deliberate harmonization of the text to resolve the conflict. HIs intentional corruption of the word Bethlehemite should be plain to see. He changed the text to create a brother for Goliath so he could give credit to Elhanan for his death. Ask yourself, is it possible that Goliath’s parents, being good Philistines and giving Goliath a Philistine name, would give his brother the name Lahmi? All the other Philistine giants had Philistine names. Seriously, Lahmi? You expect us to believe that Goliath’s brother’s name was a Hebrew name that meant “my bread”? The dittography in the text and the other problems don’t change this fact. What say you Randy about a Philistine giant with a Hebrew name that means “my bread”? No reason to question the inerrancy of the scriptures here? I was content to leave you with the final word, but since you insist I will share some further thoughts. As I mentioned, I am happy for people to express opposing views. That is the way we all learn. No one knows everything. However, it is never my intention to enter into a prolonged debate. That is not the purpose of this blog. Having said that, I will respond to your previous statements. First, as I know you are aware, there are as many explanations for these two passages as there are commentators and commentaries. Your explanation is one possibility and is put forth by a number of OT scholars. So your argument is duly noted. It should be pointed out, however, that this explanation is not necessarily an “objective” point of view whereas other explanations are based on preconceived ideas. The explanation you offer also comes with an agenda and that agenda is clearly seen in your sarcasm toward the biblical accounts. I approach the text with a different set of presuppositions. Among these are the belief that the biblical writers did not intentionally distort their history. It also includes the belief that “editors” of the text were not clumsy baffoons who inserted contradictions they hoped others would not notice (or that they were not aware of themselves). To give an example of what I’m talking about, the question of whether Absalom had sons or not is often viewed as a contradiction by those who have a low opinion of the biblical text. I have written an article (which can be found on this blog) which was published by Bibliotheca Sacra (July-Sept. 2015) entitled “How Many Sons Did Absalom Have? Intentional Ambiguity as Literary Art.” This article demonstrates that when we jump too quickly to a conclusion to explain an apparent contradiction, we may well come up with the wrong answer when a better answer is readily available. That doesn’t mean the solution reached in this paper is the correct solution for every apparent contradiction. Simply that we are often too hasty in our judgment of what is going on in the text. 1. Even though the section begins by stating the Israelites were at war with the Philistines, the individuals named in the following verses who are killed by Israelites are called Rapha. Rapha is the singular of Rephaim, who are a people that dwelt in Canaan and east of the Jordan long before Israel ever came into Canaan (e.g., Deut. 3:1-11). Thus the Rapha are a semitic people and it would not be unusual for some to use Semitic names even though living among the Philistines. Of course, they might also choose to adopt a Philistine name such as Goliath.The Anakim are also said by the biblical writer to have remained in “Gaza, in Gath, and in Ashdod” (Josh. 11:22). This is yet another example of a Canaanite people (of large size) living in Philistine cities. It is a misnomer to think that only Philistines lived in Philistine cities or that only Israelites lived in Israelite cities. It would be akin today to saying that the only people who live in New York City are Americans, or the only people living in London are English. Such a clean cut scenario does not coincide with reality. 2. Since Gath can also be considered a border town. There is quite reasonably going to be a mixture of Philistine and Judean and Canaanite cultures. For example, as I’m sure you’re aware, a potsherd has been discovered in Gath with letters that resemble the name Goliath (also noted in an article on this blog about Philistine cities). What is interesting about the inscription is that the letters used are Hebrew/Canaanite letters. We also know that the Philistines adopted Semitic gods worshipping Dagon as one example. This mixture of cultures, very normal for border towns, could easily lend to using certain words borrowed from their neighbor’s language (loanwords as we call them today). It could even conceivably involve the use of names from a bordering culture. Especially if the people have a past history of being part of that bordering culture. 3. It is clear that 2 Sam. 21:19 has suffered in transmission. The name Jaare-Oregim is incorrect and the “Oregim” has been accidentally copied from the statement of the weaver’s beam later in the verse. Similarly, Gob is most likely a scribal error for Gath because Gath was Goliath’s hometown, and if the text is speaking of Goliath’s brother, he would presumably be from Gath also. Unless some new manuscript discovery is found by the archaeologist’s spade, we will never be able to reconstruct what this text actually said. That is why the most reliable witness of it would seem to be 1 Chron. 20:5. A final point I would make is that there are some scholars who believe that the text of 1 Chron. 20:5 is not a late product manufactured to ease the contradiction in 2 Sam. 21:19. No less a scholar than David G. Firth argues in his Apollos Commentary on 1&2 Samuel that “…it can be shown that the Chronicles text form is earlier” (p. 508, note on v. 19). I would wish for some further elaboration as to how he is so confident of this. Unfortunately, he doesn’t offer any evidence. The point is, however, that here is a scholar who is convinced by text form that the Chronicles reading is legit. I appreciate your interacting with me on these topics David. You are, of course, welcome to respond. I wish you the best. In your opinion, how many years past between the final form of the book of Samuel and the Chronicler’s account of the story? I would date the final form of Samuel to the exile. I’ve not really studied Chronicles much but my understanding is that it reflects a date in the 400s B.C. If your reference is regarding Firth’s point. My understanding of what he’s saying is that even though the “Lahmi brother of Goliath” occurs in the Chronicler’s account (which was obviously compiled later), this particular passage reflects an earlier form of the text. Again, I’m not sure how he defends that. I still stand by my other observations (1,2,3). The lack of giant bone evidence could be the result of their being cannibals and the Israelites always being ordered to consume their remains in bonfires. This theory is an attempt to do away with what the Bible says. How does this theory answer OG of Bashan and his 9 cubit x 4 cubit beadstead? Thanks for your comment. I assure you this is not “an attempt to do away with what the Bible says.” I am a believer and see the Bible as God’s inspired Word. This article is an attempt to solve an interesting problem. The Dead Sea Scrolls of this passage along with the Septuagint version (which was used by the early church as their Scripture) both read 4 cubits. So the problem is we have one Hebrew manuscript tradition (MT–which our English translations usually follow) that reads 6 cubits while another one, represented by the Dead Sea Scrolls (DSS) and the Septuagint (LXX) reads 4 cubits. My article is looking at the evidence for which reading seems to be the most original. When there is a discrepancy such as this, this is what people who love the Scripture should do. As far as Og’s bed is concerned. It is certainly possible that the size of his bed suggests he was of unusual height. However, that is not the only explanation. Michael Heiser in his book, “The UnSeen Realm,” points out that Og’s bed size may actually be a reference to the Babylonian god Marduk whose bed was described by these same dimensions. This bed was associated with the Babylonian ziggurat at Etemenanki (see link:https://en.wikipedia.org/wiki/Etemenanki) which is believed to be related to the Tower of Babel. Whether this is the correct explanation or not, I can’t say for sure, but my point is that there are other explanations for the size of Og’s bed and the reference may not be to his stature. Thanks for your question. If you are asking who the tallest man in the Bible is, it’s difficult to say because the Bible does not tell us. Goliath is the only person in the Bible whose height is given. Og King of Bashan is said to have a very large bed. This could mean he was extremely tall but there is also another explanation for it which I have mentioned already in the comment section here. Please see the comment above. Saul is said to be “head and shoulders” above everyone else. Since we are only given the height of Goliath (and as this article points out, there are two different recordings of his height), it is not possible to know if he was the tallest or if someone else was taller. Thank you for writing. God bless! Greetings, brother! I just found your blog and I appreciate your writing and care for the Word. I am always humbled and grateful for those who help us navigate the stark differences in our world and the world of the Old Covenant. It is also amazing to me that the basic reading at any level of understanding leads us to God’s central message to His people, difficult differences in culture notwithstanding. I am surprised by some of the comments on this post which leads me to believe that we have a poor understanding of literary devices, “grasshoppers” being one of them. Brothers and sisters, when we read a headline that reads, “Warriors annihilate Rockets in Game 6,” we don’t actually think that one basketball team committed violence against another. When the Spirit-inspired writers of the Scriptures used hyperbole, they are emphasizing a point just as we do today. Thank you Jamie. Your encouragement and comments are deeply appreciated. God bless! We are discussing an argument which is irrelevant because the point here is to who belongs the credit, honor and glory is to GOD. If we all see it’s Goliath was bigger than a re guar men in that time and even bigger than Saul otherwise it would not emphasize his height, but the whole point is that the spirit of GOD was with David, so the stone was purposely driven by GOD not the man David. Yes, of course, the story is about God’s glory and power. I totally agree. The point of this article is to discuss one small (pun intended) point of the story. Thanks for your comments. Thanks for the article it was good reading. Just to throw I spanner in the works. Saul was head and shoulder above anyone else so it would be only logical that the giant was taller than Saul would you agree? Yes, that may be true Peter. As one scholar notes, the point of the story may be to show that “tall” Saul is the right candidate to face Goliath, but he is too fearful. Thanks for your comment and question. it’s really nice to read articles written by a true follower of Jesus. I’m glad you enjoyed the article Ben. Thank you for your very kind and encouraging words! God delivered His people through extremes – not from relatively bad situations. I’m sure Goliath was massive. The fact that his coat of chain mail was 125 pounds alone… Now I’m sure there are some of us that could put that on our shoulders, but do you think you can fight like that? And to wield a spear with a 15 pound head on it. 6 Foot 9…? Interesting reading, but just nope. May God bless you all with so much unwavering faith..!!! To The Most High be the Glory, If Goliath had been 30 feet tall the out come would have been the same. Thank you, Randy. I appreciate your research on this subject. Hey, I learned! Thank you again. You’re welcome Rick. Thanks for the encouragement! Randy, I have found this article and comments to be very interesting! Thanks for your extensive research and knowledge. I have always just read the Bible (KJ, NKJ, NIV, etc.) and assumed it was correct. I research in my field of study but not in my religion. You and others in the blog have sparked my interest. I also respect your patience with those in the blog who questioned your faith and didn’t seem to read everything you had written based on the different evidence (MT, DSS, & LXX). Best wishes and God bless. Thank you for your kind words Dr. Marcus. I’m glad you found the article and comments informative. God bless! Maybe the later manuscripts had to update a change in cubit length? It would seem cubit would get longer (due to increasing physiological conditions and such), but even if bodies were a little larger in the early CE, a cubit size could have been calculated smaller than in earlier times (for whatever reason). Maybe the later manuscripts were compensating for this? Could the later manuscripts have inflated the number because the cubit of their day was calculated smaller (thus needing to increase the cubit in the manuscript)? …Just a thought. Any non-standard unit of measurement is sure to have fluxes and variations. Also, if Saul was a head taller than the other Israelites, and if Goliath was only 6.5 feet, that would put Saul at around 6 feet. Since the Israelites didn’t refer to their appx. 6 foot king as a giant, it’s doubtful 6 additional inches would suddenly make goliath the super intimidating giant. In the end, what matters is that faith in, and zealousness for, YeHoVaH will lead us to victory and keep us humble: the battle always belongs to Him. Thanks for your comments Mark. I don’t have an answer to your question (it’s a good one!) about whether cubit sizes changed over the centuries. That certainly could be a possibility. Let’s throw that question out to other readers and see if anyone has some concrete information one way or the other. God bless! I looked into this matter further. Apparently, Sir Isaac Newton argued that the sacred cubit length of the Egyptians was beteeen 24.90 and 25.02 inches. This is well documented in a work of his that friends published in 1737 after his death. Newton goes into extensive detail regarding not only why the sacred Egyptian cubit was around 25 inches, but also that this cubit significantly impacted the Hebrew use of this cubit. A fascinating read. So, my point: Using 25 inches as the base…and calculating 4 cubits and a span, we have around 109 inches (just around 9 feet). I therefore believe it’s possible that later scribes revised based on the 18 inch cubit length that was prevalent at the time of the Masoretes when they updated the numbers to an 18 inch system (widely in use at the time). 6 cubits and a span using an 18 inch system still puts Goliath between that 9 and 10 foot range. This seems highly plausible. The later scribes weren’t trying to inflate the story; they simply had to update the cubits since the length had changed since the older manuscripts were written. And, if anything, for those who call the Bible a fairytale of scribal whims, it makes them think again. Aswell as With the other points about how Saul wouldnt be much shorter than a 6foot 5 goliath. there is no reason why he would have feared him.